The Juggling Homemaker: iCarly Season 1 Volume 2 DVD Giveaway! I'm co-hosting my first giveaway with my friend, hamsterkitten, from Mom on the Random--visit her site for a full review and details on the prize. One lucky winner will be chosen using random.org from either site. You can get additional entries by entering on both sites! This giveaway is open to US and Canada residents only and ends April 30. Good luck to everyone! 1) Tell me what your favorite Nickelodeon show is from past or present. 2) Digg this, tweet this or post a link on your website. Then comment here to let me know you did. 3) Subscribe. If you've already subscribed, then follow my blog with Blogger or on Facebook. Make sure to let me know here by commenting. 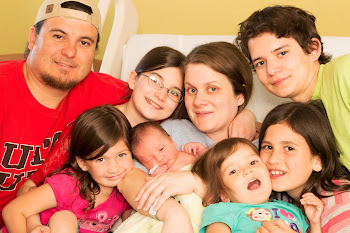 4) Visit Mom on the Random for additional entries! I miss the Wild Thornberrys, RocketPower and Rugrats.. If it is on I can never find it. My kids love iCarly, even my 4 year old. I love iCarly! It is my favorite show on Nick, but I also do like Spongebob. My daughter has LOVED Miranda Cosgrove since her early days on Drake and Josh! iCarly is one of her favorite shows- I think the older brother is a cutie-- although where the hell are their parents?!! 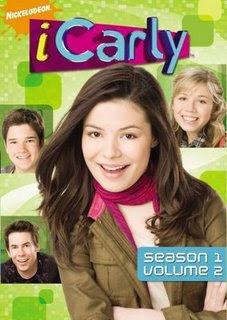 We love ICarly, we think it's a fun show we can all enjoy! Spongebob is our favorite. thanks! I used to love to watch Double Dare. My daughter loves the Wild Thornberry's movie. I remember watching "You Can't Do That on Television" when I was young. Our favorite show actually is iCarly!! Thank you for a great giveaway. Spongebob is my favorite - my children have many favorites. Thank you! My fave Nickelodeon show is Ren & Stimpy! I loved Rocket Power - that was a very underrated Nick show. Drake & Josh was a good sitcom, and iCarly is also great. Hope I win! We are Spongebob nuts-thank you! I visited Mom on the Random and entered there also. My favorite is Drake and Josh. It is so funny! My favorite Nickelodean show was You Can't Do That On Television. It was from when I was growing up and Nick had just came on the air! It was the show where people were "slimed" for the first time! LOL! Oh I miss that one! I liked the game show where everyone got slimed. I can't remember the name. I loved Carissa eexpalains it all and the original Double Dare.My kids love iCaly.Thanks! Sponge Bob is my favorite!